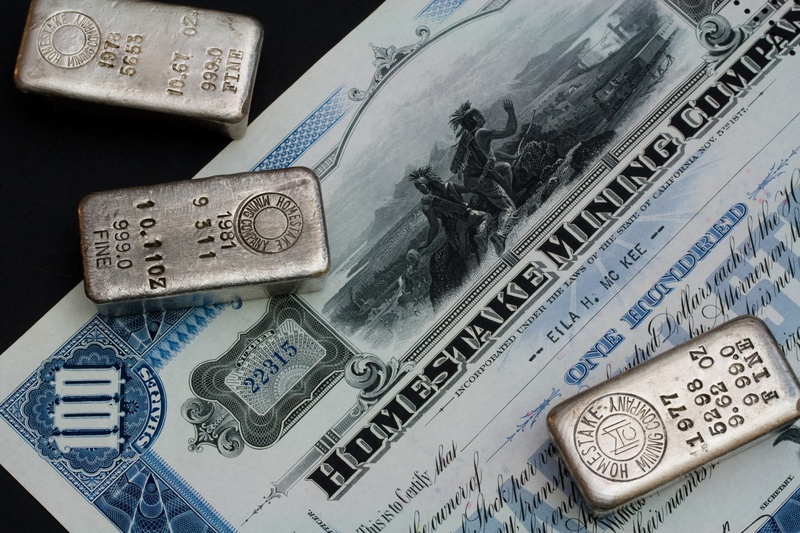 While real estate investors may choose to invest every nickel they have into real estate, they are reluctantly forced to invest their retirement accounts into stocks, bonds, and mutual funds. Some investors are so turned off by non-real estate investments, they choose to not contribute to their IRAs or 401ks at all. This is mainly due to the “inadequacies” (in their mind) of the other available investments. The end of the year is fast approaching. Now is the time to plan your year end activities so you can make the most of your financial planning and tax strategies. And to be frank, you would not be reading this in December if you had already done your planning for the year. Having a financial plan is an important step in making sure you have a path to reach your goals. Financial planning is about figuring out where you want to go, putting together a path to get you there, and monitoring your progress along that path to adjust for unexpected events. While most financial planning should be done continuously throughout the year, many people wait until year end to complete their checklists. 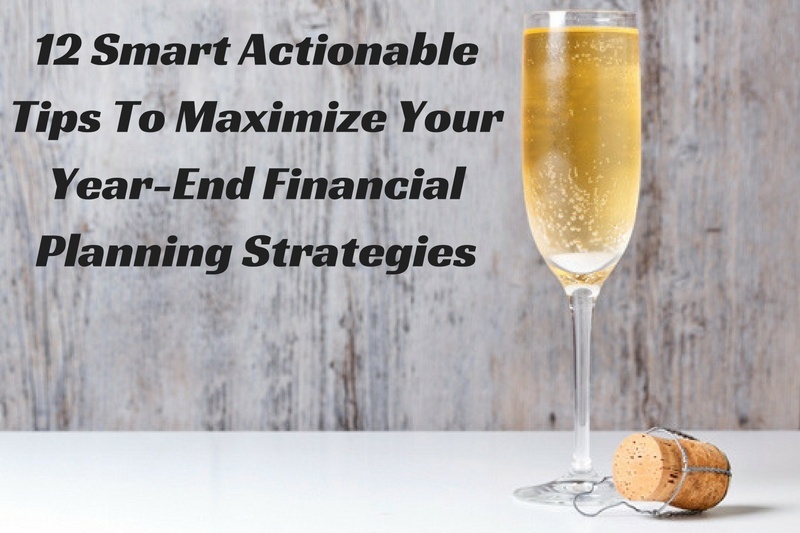 This post should help provide you with 12 immediate actions you can take to get up to speed on your financial planning before year end. 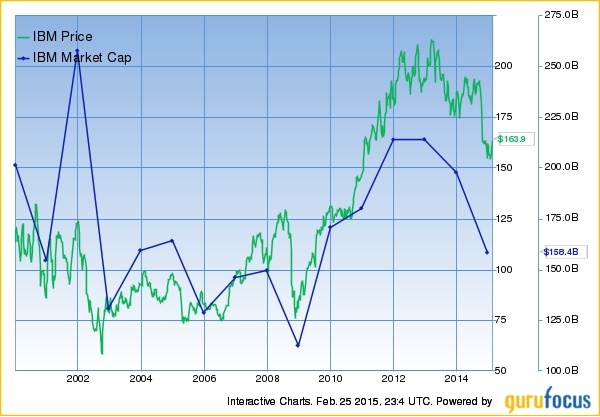 This is an overlay chart of IBM’s stock price and its market cap since 2000. Do you notice anything interesting about this chart? The stock price and market cap have performed differently. How can that be? Aren’t they the same? While the stock price and market cap are highly correlated, they are not the same. 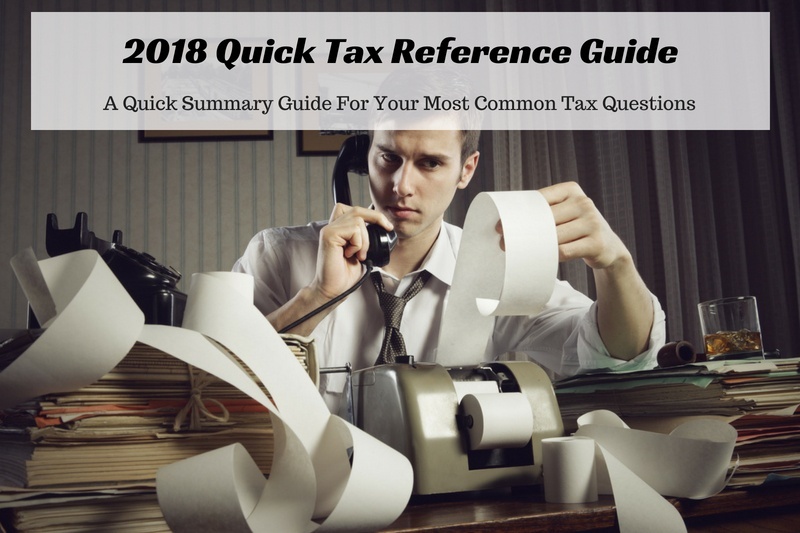 This is our 2018 Tax Reference Guide. We created it to make your life easier. Each year we collect this data so you don’t have to. You might want to bookmark this page for future use. Don;t miss out on the tax changes for 2018 and how they impact your financial life. In the prior post of this series, Should You Rent or Buy a Home?, I wrote about the pros and cons of home ownership vs renting. It is important to start here when you are considering whether to rent or buy a home. The decision of where to live should not be solely made on emotional attachment or financial considerations. It should be made up of both if you are planning on living in a home for many years. You want to love where you live. This week’s post will be focused more on the financial considerations of renting vs buying a home. More specifically, what is the true cost of owning a home. If you have never correctly run these numbers before, the data may surprise you. This week I will give you an example of what the true costs of owning a home are. 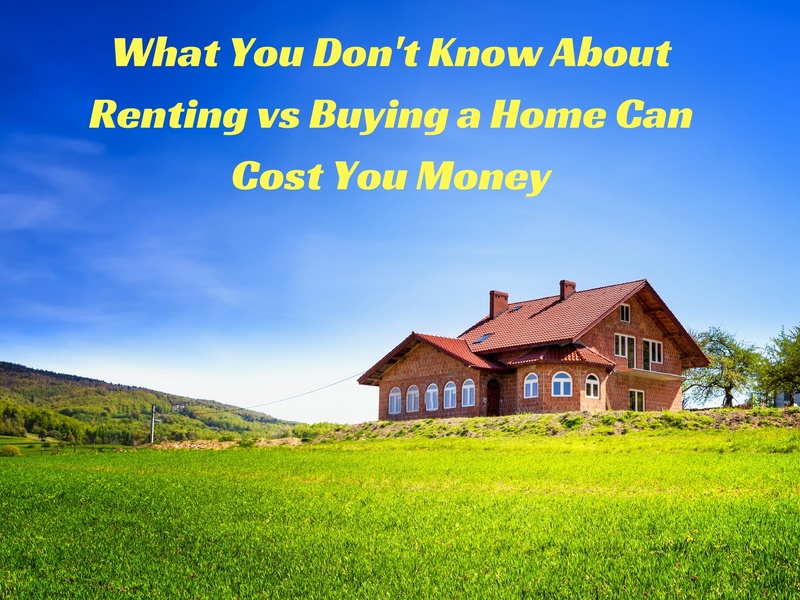 In next week’s post, What You Don’t Know About Renting vs. Buying a Home Can Cost You Money, I will compare some real life examples of costs of renting vs buying a home. I hope I am able to forever change how you look at buying the home you want to live in. This is the third and last post of this series. The first post, Should You Rent or Buy a Home?, examined what factors you should consider when renting vs buying a home. The second post, What is the True Cost of Owning a Home? 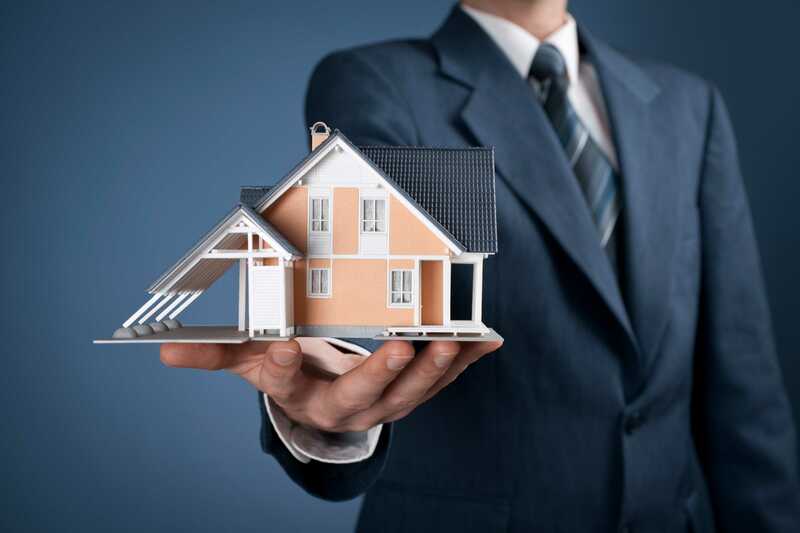 , examined the true cost of owning a home. 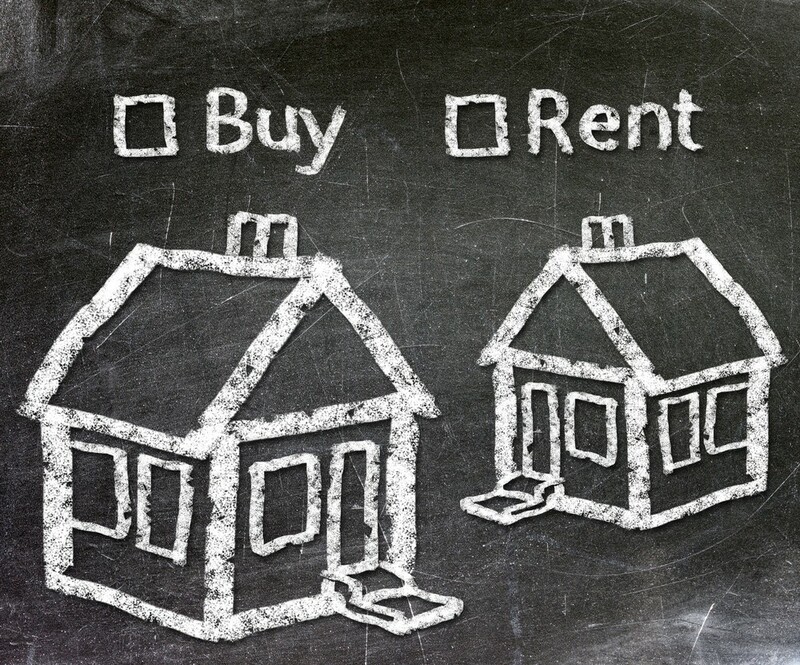 In this final post I will be examining whether it makes sense to rent or buy a home. Numbers don’t lie, so lets look at some real numbers. There are many calculators available online to help you figure out whether to rent or own. Unfortunately very few include the true costs of owning a home in their calculations. If you read the prior post, you will have some understanding of what was left out and how to calculate it. The math in post this will be relatively straight forward and a bit more fun. There is a myth out there that when you rent, “you are paying someone else’s mortgage, so why don’t you pay your own?” This is a farce. It doesn’t matter whose mortgage you are paying, what matters is your costs to live in that home. No matter where you live, your cost to live in that home is an expense. If you rent, you pay rent to a land lord. If you own, you pay a mortgage, taxes, insurance, maintenance, etc. There are costs for both options. Unless you live in a tent you will be paying for a home either way. 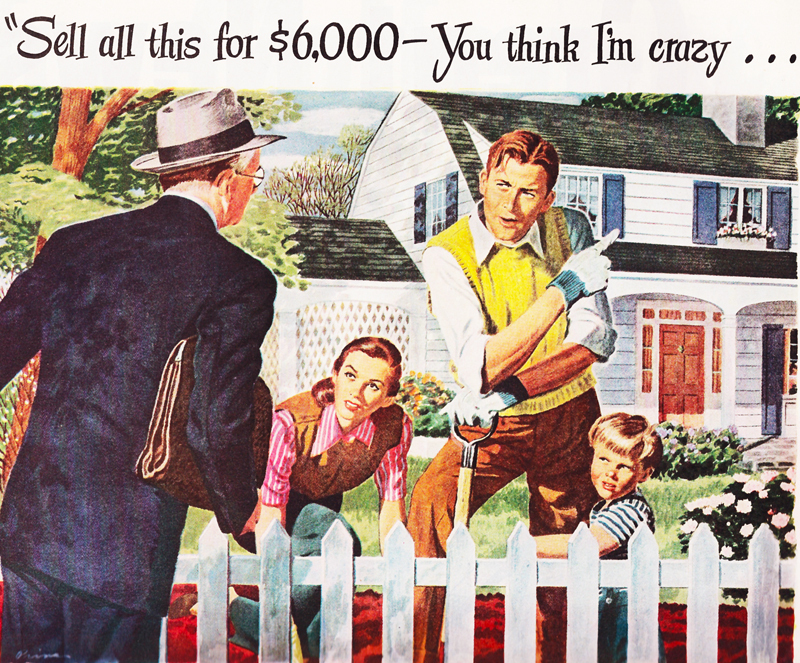 Is the American Dream Really an Illusion? There is a great illusion when it comes to real estate. This illusion is that owning your home is an investment. When you own real estate and use it to generate monthly income… it is an investment. When you buy real estate and develop it to sell for a profit… it is an investment. When you buy real estate to live in… It not an investment. It is a personal expense. Where did this idea come from that every American should own their home? I heard that Fannie Mae came up with the “American Dream” idea as part of a marketing campaign that everyone should own their own home. Great idea on their part, but I have not been able to confirm that they were the ones to initiate this idea. Why are Individual Investors so Bad at Investing? Individual investors as a group have no idea what they are doing. This has been made clear by a recent DALBAR study spanning 30 years all the way back to 1984.1 This period covers a number of bull and bear markets, giving investors a chance to learn from their mistakes. However it is clear that they are not learning the lessons of proper investing. The S&P 500 is one of the most widely followed indices and is considered a benchmark for the US stock market. I would consider it a suitable benchmark for this study. 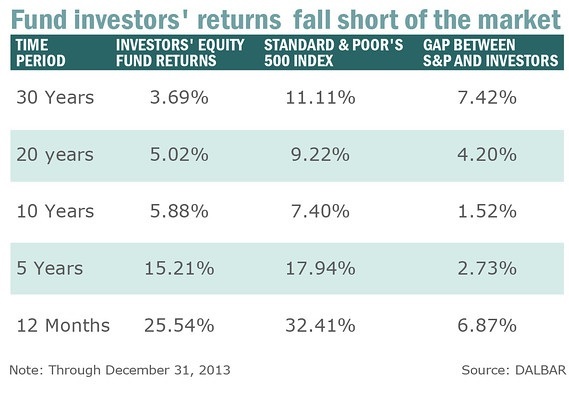 These numbers compiled by DALBAR show that the return of the S&P 500 over the 30 year period ending in December 2013 is 11.11%. They also show that individual investors only measured 3.69% over that same period of time. This is a remarkable 7.42% difference annually. To put this in perspective, if you invested $100,000 in 1984 in the S&P 500 and earned 11.11%, today (30 years later) you would have $2,358,275. If you started with $100,000 and invested it over the same time period at 3.69%, you would have $296,556. That is a difference of $2,061,719. It should be clear from these numbers that individual investors have a problem. 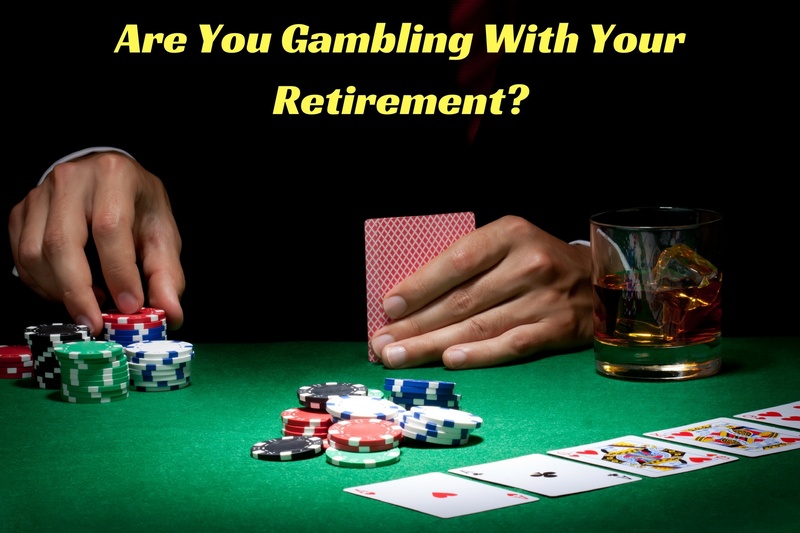 Are you gambling with your money? Gambling is exciting. Gambling is entertaining. Gambling can make you rich… or so you imagine, but the odds are against you. That is why it is called gambling. That is why casinos are such profitable businesses. There are professional gamblers who play Texas hold ‘em for a living and do quite well. But they are not gambling, they are playing the odds, they have a system, and they know the probable outcome of their “gamble”. There is certainly a large amount of skill involved as well. Reading people, remembering prior drawn cards, and concentrating for long periods of time. Have you ever lost your job? Has your car ever required an expensive fix? Have you or a family member ever need funds for a hospital visit? Now imagine that you didn’t have access to cash to pay for that emergency. What would you do? 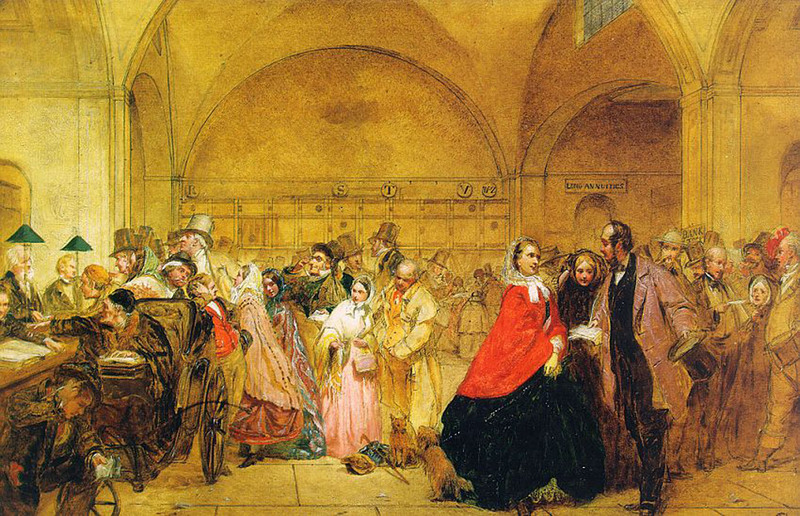 The mass issuance of credit cards has allowed people to neglect the need for an emergency fund. This is a mistake. 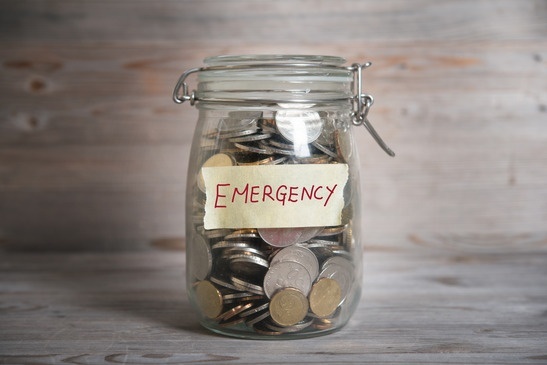 An emergency fund is not only about preparing for the rainy day that you will need the funds. It is also about reducing risk, providing you options, and helping you sleep better at night knowing that your financial emergencies do not have to be debilitating. According to Go Banking Rates, 71% of Americans have less than $1,000 saved in their savings account. Although some age groups vary by a small margin, 70%+ of them (including seniors) have less than $1,000. If their income is cut off for even a few weeks, how are they going to survive? Regardless of what happens in the future with inflation in the US, it is important to consider how it will affect your investment portfolio. 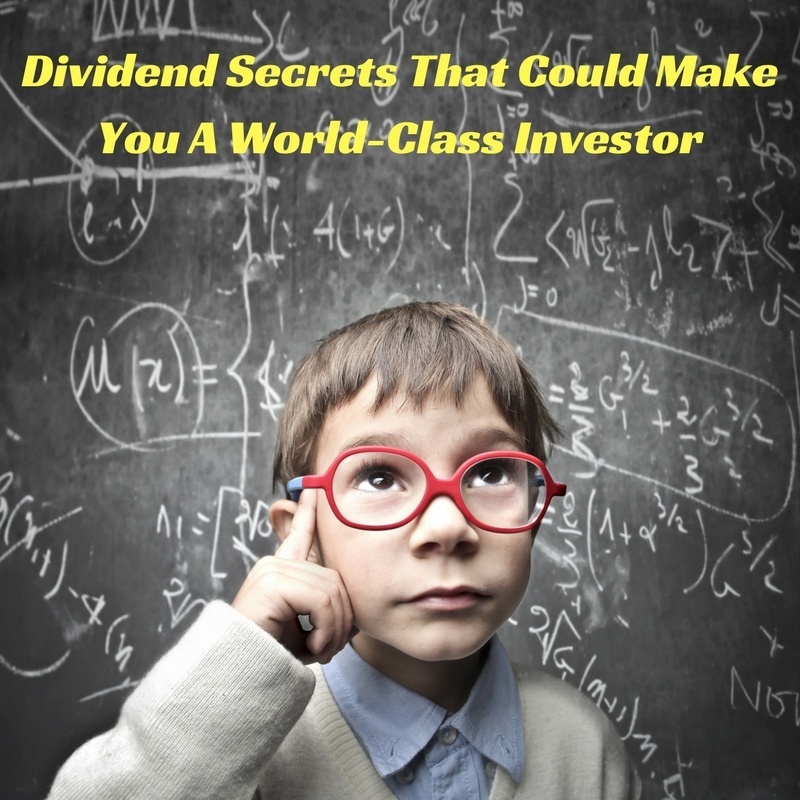 While I discussed how a hypothetical dividend stock could help you compound the growth of your family’s wealth in the first three parts of this series, I have not mentioned how the effects of inflation can eat away at this performance. This fourth article in the series will discuss both how inflation affects your investments, and how to use dividend stocks to beat inflation. 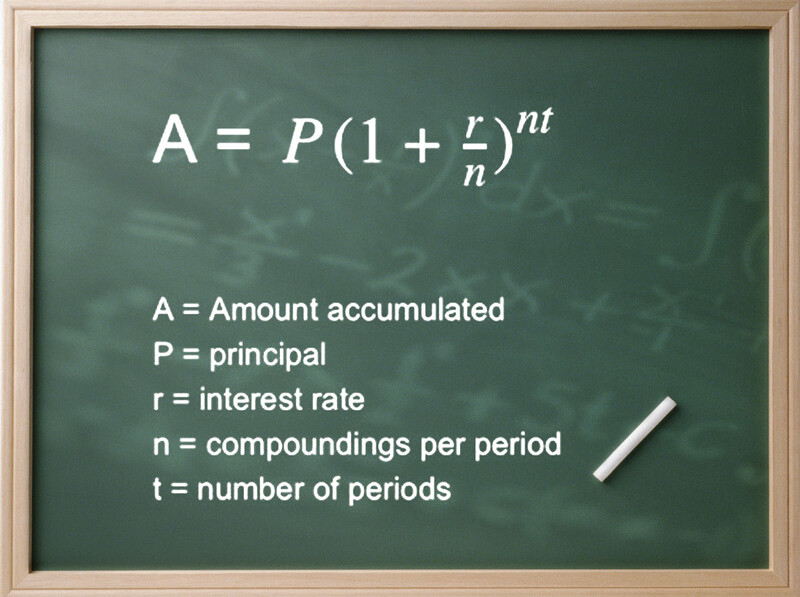 This inflation beating secret could help you minimize the effects of inflation through another form of compounding or super-compounding. I have seen simple investment systems, multi-million dollar trading systems which require astro-physicists and rocket scientists to run, and everything in between. With all those reference points, one thing that has become crystal clear, adding complexity does not necessarily make things better. In my last article, Compound Interest- the most powerful force in the universe… Maybe, I discussed the powerful secret of compound interest. This secret works well if you take advantage of the aspect of time. This secret is not for those who want “action” with their investments. People who “gamble” with their investments will find this concept difficult to successfully master. To learn more about investing vs. gambling, read my prior article, Investing is not gambling…if it is done correctly. I have heard this quote many times over the years. I, like most people, have just assumed that Albert Einstein said it since it is so widely attributed to him. However when I looked it up, I realized that it may be just another urban myth. There is no context for his quote or specific mention in writing of which he has made it. Regardless of whether he said it or not, it is a very important concept to understand. I was recently notified that I was ranked #7 on the Investopedia list of Most Influential Financial Advisors. I am very grateful to receive this honor. It was somewhat unexpected. I have spent so much time trying to help investors that I have not stopped long enough to reflect on the impact I have made in the lives of my clients and social media connections. This award supports that all my efforts to educate investors and help them navigate the uncertain financial markets has not been in vain. It means a lot to me to be recognized with such a notable group of financial advisors. Investing has always been a passion of mine. This passion started at a young age with small ventures such as a lemonade stand and lawn mowing services. In college, it continued with investing in the stock market. When I graduated, I got my first job at Paine Webber. Almost 10 years ago I co-founded Innovative Advisory Group. Investing and providing financial advice is in my blood. As my knowledge of investing has grown, so has my desire to help others understand the mysteries of the financial markets. I hope to impart some of that wisdom to you in this post as well as other articles on this site. Once again, I would like to thank Investopedia for this acknowledgment of my efforts. I also want to thank my clients and social media connections. I would not be where I am today without you. Investing is challenging, but it doesn’t have to be. It requires some extensive knowledge to become a highly successful investor in the stock market, but there are many ways to invest successfully. I will discuss some different ways to figure out how you can invest successfully below, however you will need to understand these simple concepts if you want to be successful long term. “The equity market continue to float on a cloud of who knows what”. | “This is not like any market anyone alive has seen before.” | “There is no euphoria, which is usually not a sign of a market peak.” | “There is enough pessimism for the market to continue climbing higher.” | “The engine seems to be running, but no one has bothered to look under the hood.” — These are just some of the comments I have heard from portfolio managers in the past month. This month I want to discuss the topic of value. Value is a term that means different things to different people. Frequently. people use the term to describe investments that are “cheap”. Of course, “cheap” also means different things to different people. 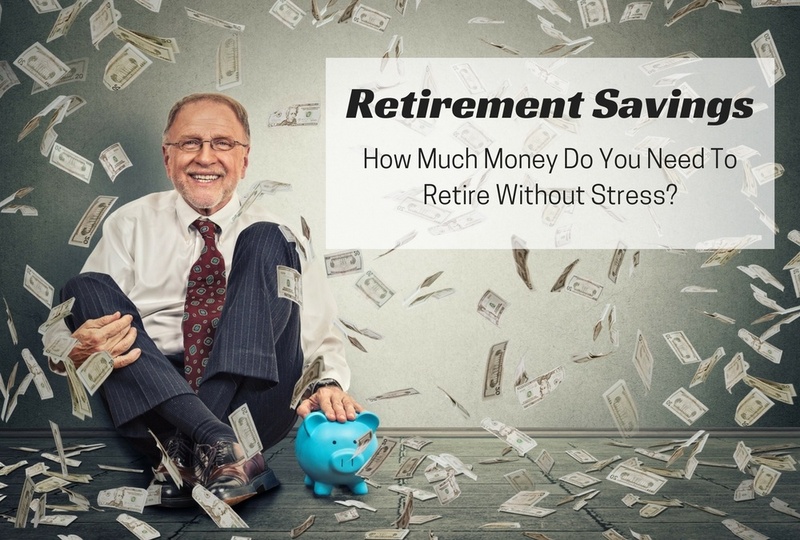 Retirement Savings: How Much Do I Need To Save For Retirement? This horrible thought was that you have not saved enough for your retirement. Fortunately for you, you have prepared for retirement. You don’t need to worry about anything other than what time you are going to tee off at the golf course. 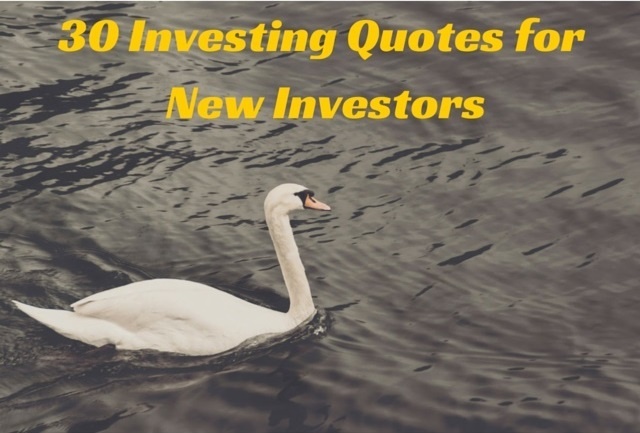 I like investment quotes. They are snapshots of wisdom. An insight into the minds of genius investors. Many of these quotes individually could be the basis of an entire book. I have been collecting these quotes to add to each post I write. Unfortunately I have way more quotes than I have posts up on this site. So I thought I would compile this list to provide more bite-sized pieces of wisdom for your enjoyment. The stock and bond markets are driven by four primary motivations. 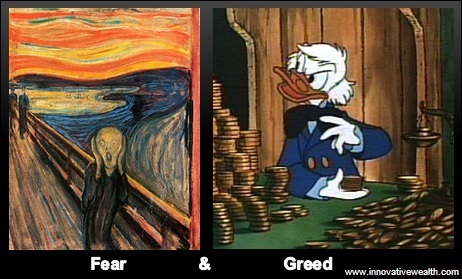 These four motivations are based on only 2 emotions, fear and greed. Investing is scary if you don’t know what you are doing. It is even scarier if you fully understand the risks through your own experience. Fear is a primal and instinctual emotion. Fear has kept our species from getting eaten by sabertooth tigers and jumping off cliffs trying to fly like a bird. However when it comes to investing, that same primal instinct clouds the judgment of an otherwise rational educated person and causes him or her to make silly mistakes. In order to be successful as an investor, that fear has to be understood and harnessed in a productive way. I find fear to be the trickier of the two emotions because most people don’t understand how it applies to their own psychology. The emotion of fear when investing can be broken down into 2 subcategories: Fear of losing money, and fear of under-performing the market (or more commonly known as, the fear of under-performing your friends). Wow! What a winter we have been having this year. 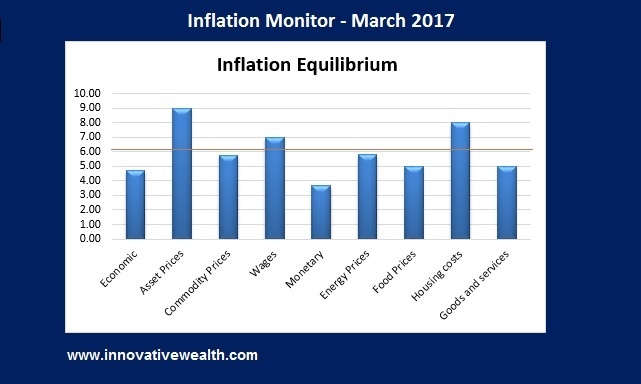 We have had some big changes in recent inflation data. It is a mystery to most people as to why this has taken place, especially with the pre-election slowdown. However, this month we will be discussing a number of things including, a big surprise to earning growth, the mystery of the big jump in inflation, Trump’s potential impact on inflation, and most importantly the biggest change in inflation trends in the past 8 years. 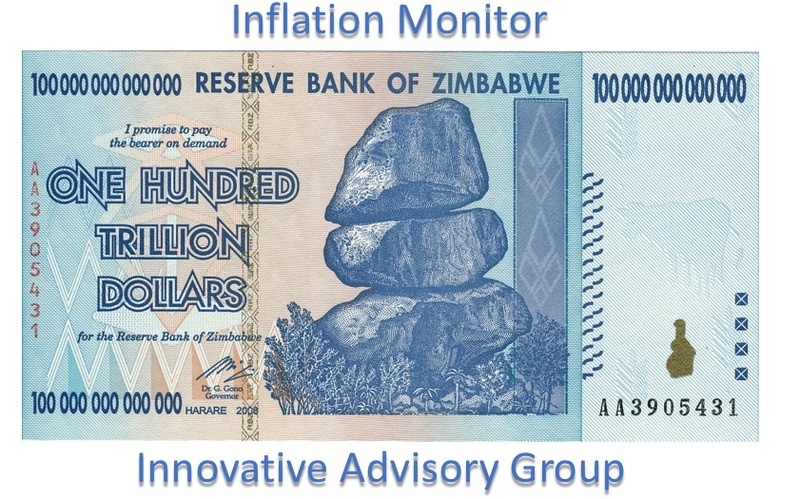 You will not want to miss this month’s Inflation Monitor.